There's a kind of giddy silliness going on here that you'll either be with and enjoy, or will simply strain your patience. Assuming you're in the first group, the result is still a mixed bag. 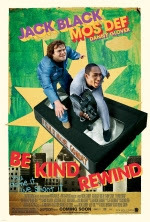 Don't get me wrong, watching two moronic dropouts do their damnedest to remake big budget blockbusters using an old VHS camcorder and a budget that probably wouldn't pay for a pizza is a style of awesomely bad that rarely gets seen in cinema. But it's all the endless stuff in between that drags the film from inspired idiocy back down to earth. Between spoofs, the film simply can't decide what kind of comedy it wants to be: is it out and out slapstick, a situational farce, or just a Jack Black improv reel? And then there's the syrupy sentimentality toward the end which tries to pull in yet another genre. Still when the film is funny, it's hysterical. It's just a shame the rest is so disposable. Sometime between recording the awful love dialog in Star Wars Episode II and becoming a one-man jedi barbecue in Star Wars Episode III, actor Hayden Christensen put in what was probably the best performance of his career. 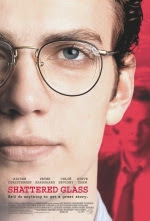 Shattered Glass depicts the downfall of real life reporter Stephen Glass, whose career ended in 1998 when it was discovered he falsified parts of, or outright created entire stories, which were then published as truth in the prestigious New Republic magazine. His was one of the most high-profile instances of journalistic fraud the industry had seen. The movie shows this eventual collapse with an unexpected air of objectivity. The way the narrative moves, it's difficult to blame any one person for wrongdoing, leading to a judgment call on the part of the audience. As far as drama goes, there's an air of tension and nervousness to reflect the characters, but the star of the show is really the plot itself. 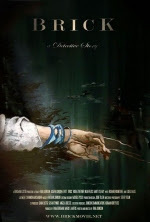 The few things that work against it mostly revolve around the objective nature of the film—if you're the kind of viewer who likes hand holding, this may not be for you—and there's an odd editing choice toward the end that is somewhat baffling. Still, in managing to make the viewer ask how such lies could filter through to publication in an industry that prides (prided?) itself on endless fact checking, this becomes a fascinating examination of how so much could have possibly gone so wrong. One could say that this is film is making the best of a bad situation. Basically you've got an awful script filled with every kind of kid's film stereotype, a trio of too-precocious youths who are having family trouble (side note: I used to think I was unique in growing up with divorced parents. If kid's films these days are any indication, it's frighteningly common nowadays), a disbelieving parent, and of course the token adult who's in on the conspiracy, played here by a curiously miscast David Strathairn. Yet, despite the generally terrible writing, everyone (except Strathairn) plays their part with such furious conviction that it's not hard to get swept up in the fun. Not only that, but (and this part genuinely surprised me) the action scenes in this film are truly intense! Much of the rest of this fairy tale is your basic kid's film fluff: tons of the now-standard fantastical special effects and “kids can overcome anything” proselytizing. So it all adds up to a mixed bag for adults; the action is great but there isn't a lot else here. 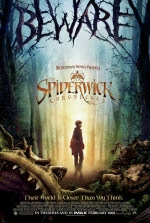 But the film's target audience will likely be enthralled (and appropriately thrilled) for its entire runtime. Heartbreaking and poignant, with an emotional and life-affirming sense of humor, Persepolis is a beautiful tableaux of survival and optimism in times and places of incredible civil strife. Telling the autobiographical story of Marjane Satrapi, the film depicts life for a woman in both pre- and post-revolution Iran as well as education abroad, done in an animated style that recalls French cartoons of the 1950s. The animation style helps accentuate the surreality of a world and idealism crumbling into dust, while a melancholy sense of humor proves a most endearing highlight. It manages to punctuate endless atrocities and the increasing awareness that comes with maturity with a sense of perspective that, despite everything, is fiercely unafraid. The result is uplifting, tragic, funny, endearing and hauntingly personal. Note: In the spirit of revisionist history, I have posthumusly placed this film at number eight on my Top Films of 2007 list. Last time Hayden Christensen and Samuel L. Jackson were on screen together, Jackson got his hands chopped off with a lightsaber, while Hayden insisted everyone start calling him “Darth,” then went off to slaughter children. Shame to see they haven't quite patched things up. Also shame to see neither has taken an acting class since, as while the concept of a teleporting bank robber fighting a quasi-religious assassin seems like popcorn-munching heaven, both actors' performances are more wooden than a spruce. That isn't to say the film doesn't have its moments. 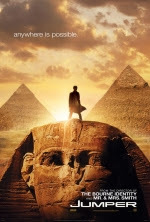 The teleportation conceit is is utilized impressively, with action scenes and conversations leaping from Cairo to London to New York to Rome to Tokyo to Dubai and a dozen points in between with such regularity it almost becomes mundane. I would have hated to be working continuity on the film! And while the acting across the leads is pure B-movie fare, it still remains sufficiently amusing. I guess what I'm saying is it'll kill ninety minutes, but you'll have a hard time remembering what you saw. Film noir is possibly the least understood, least produced genre of film out there, and with good reason—it's a genre that lends itself perfectly to self-parody. Brick manages to be a triumph of storytelling, of character, and even self-awareness. Following one teen's search for an ex-girlfriend's killer through the caste system inherent in any high school, the tale woven is deep with twists and heavy with carefully constructed conspiracy. Like any good film noir, you get your tough-to-trust femme fatale, a troubled lead expertly played by Joseph Gordon-Levitt, and a deeply integrated style of overwrought dialogue that manages to create a world all its own. But on the other hand, setting a murder mystery in a high school turns almost into a parody of itself. If anything, the age and setting take away from the experience. The film does such a good job at portraying a compelling narrative that the immersion is occasionally broken when you remember these are all kids. Still, as an example of smartly effective, layered filmmaking, any shortcomings can easily be overlooked. The story here is just too damn good. Note: If you'd like to put together a great double-feature, watch this, then follow it up with The Lookout. Both star Joseph Gordon-Levitt, both have a similar tone, and both are absolutely fantastic films. Also known as Kakushi-toride no San-akunin. Akira Kurosawa's films influenced entire generations of filmmakers, and continue to be a driving force in cinema today more than 15 years after his last film (and 10 since his death). 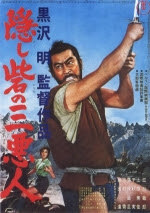 The Hidden Fortress is well known to be the inspiration for George Lucas' Star Wars, and on further examination it becomes more and more obvious, but still manages to stand well apart from the sci-fi classic as an fantastically fun adventure of its own. Depicting two greedy, dimwitted peasants as they get recruited by an old samurai general to safeguard a princess, the parallels are easy to see, but that's where the similarities end. From there it's a light, wonderfully entertaining trudge across feudal Japan filled with a good bit of class conflict comedy and a couple of exciting sword fights. The film has aged exceptionally well, being readily accessible and entertaining to a modern audience, even managing to bridge the cultural divide thanks to its broad sense of humor and extremely likable characters. Simply put: this is an popcorn muncher heirloom, and a treasure to anyone seeking to see some of the best of what classic cinema has to offer. 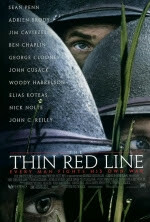 Terrance Malick isn't known for making bad movies, which is just one of the reasons why The Thin Red Line is so surprising. This intensely introspective World War II drama isn't really about war at all, but about the internal dialogue and mid-traumatic stress disorders folks get while in the thick of a firefight. The problem is it's so laboriously paced and thoughtfully meandering that most of the film is taken up by copious amounts of the beautifully shot scenery. Still, it's got a ridiculously great cast, which includes at least a half-dozen household names (George Clooney, Nick Nolte and Sean Penn, for example), and a good ten other folks that any film geek could easily recognize (such as John C. Reilly, Thomas Jane, and Adrien Brody), almost all cast as mere extras or single-line, single-scene characters. That such a huge amount of talent and money was used on a film that is at least an hour too long by a director who many consider one of the eccentric greats is such a shame. While I give some credit to the gorgeous scenery, and even a fantastic performance by Nolte, the majority of the movie seems to just drag on and on and on. If you're wanting a thinking man's war film, go ahead and slop another point onto my score. Otherwise, there are far better ways to look inside a soldier's head than this, both figuratively and literally.